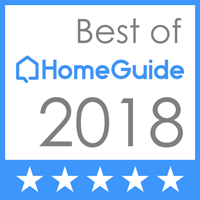 #1 in Chicago Home Inspections! With over 25 years of Chicago home inspections and the most thorough inspections in the area, we are your BEST choice in Chicago home inspectors. Buying a home? Move in with real confidence and knowledge with a pre-purchase inspection. Selling a home with a pre-listing home inspection means fewer headaches and a smoother transaction. We offer a full range of 203K services to keep your project moving forward and to get your renovation done right. The HouseDoctors also provide air quality/mold testing to help ensure your home is safe. Radon is a radioactive gas that causes cancer. Have your home professionally tested and have peace of mind. We inspect a wide range of commercial buildings and properties, as well as light industrial properties. A home is more than just an investment. It is a place for security and peace of mind. Hidden defects can mean long term additional costs, which means financial and personal losses. A “The Housedoctors” inspection will disclose defects and insure the quality of your investment before you purchase. A home inspection is essential for your protection as a prospective property owner. You need the experience of a professional to provide assurance that the representation made actually exists. We invite the client to participate in the inspection. By becoming part of the process you will gain a better understanding and knowledge of the property while strengthening your decision-making ability. We bring real value and meaning to the inspection, providing plenty of time to review and clarify all issues relevant to the report. We provide a professional property inspection covering all the provisions of the Standard of Practice of the American Society of Home Inspectors (ASHI). The report specifically states what is and what is not within the scope of the inspection. Each inspection report covers over 200 ITEMS! When it comes to thorough, detailed, and honest Chicago home inspections, we are your BEST choice! We have experience, knowledge, and ability that you can’t find anywhere else. So contact us today!